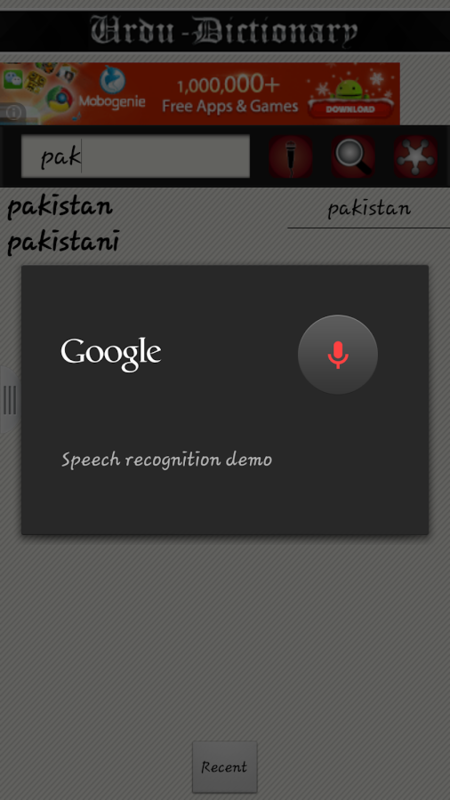 The Most Downloaded Dictionary Now Available in Android Market..
> Easy To Use Interface. > New Update Info On Screen. > Email Option to Give Us Your Feed Back.